There’s some serious responsibilities placed on babysitters’ heads. Parents rely on them to take good care of their children and expect them to know what to do in emergency situations. And there’s always the chance that an emergency might happen, especially with active children running around. This is the reason why parents should look for a babysitter with first aid training. However, there are situations where parents are already happy with their babysitters despite his or her lack of first aid training. Parents can still do something so that the situation becomes a happy one for everyone. • Offer to pay for first aid and CPR courses. Parents can help ensure their children’s safety and at the same time help their babysitter by offering to shoulder emergency training courses. Or look for babysitting classes that give babysitter’s first-aid training. Most of these classes teach scenarios like how to bandage wounds to what to do when a baby is choking. • Provide emergency contacts. Babysitters should know how to contact parents when they leave the house. Parents should write down all their emergency contact numbers and keep it in a handy and easily accessible place, like the refrigerator door or beside the telephone. Important information that parents should leave behind are their full names and contact numbers, the home address and the time they’re leaving and arriving. The numbers for the police, fire department, poison control and hospital should also be included. • Discuss the family’s normal schedule. Parents should spend at least 15 to 30 minutes talking with the babysitter about the family’s schedule and leave clear instructions with regards to eating, playing, toilet training and bedtime. Parents should also lay down clear house rules about TV and computer use, visitors and phone calls. Discuss the family’s household habits and rules. For instance, tell the babysitter that doors and windows should always be locked or that under no circumstances should the sitter allow someone in, even when that person is claiming to be a friend or family member. • Show where the first aid kit and medicines are. Inform your babysitter of any medical conditions your children have and give clear instructions on how the situation should be handled. For instance, if your daughter has asthma, tell the sitter what to do and where her asthma medicines are. Make sure that your first aid kit has all the essentials like anti-bacterial soap, antibiotic ointments, band-aids, calamine lotion, hydrogen peroxide, ice pack, medicines, sterile gauze, thermometer, towel and tweezers. These tips might seem very basic and simple to you, but the best way to prevent emergency situations from ever happening is to make sure that everyone is informed and that expectations are clearly explained. Parents and babysitters should work together to ensure that children are kept safe. For parents who’re still looking for a good babysitter for their children, make use of community resources in your search or ask the advice of fellow parents. 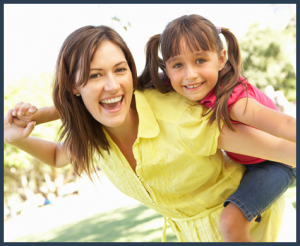 Look into reliable babysitting services who can recommend good babysitters with experience and first aid certification.